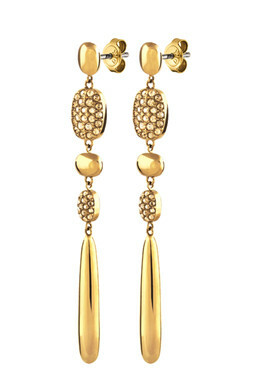 The beautiful and classy drop earring; IMANI, is the perfect accessory for both a dressed-up look and a casual one. Either way, you will take center stage! Made in a gold toned finish with golden facet cut crystals.